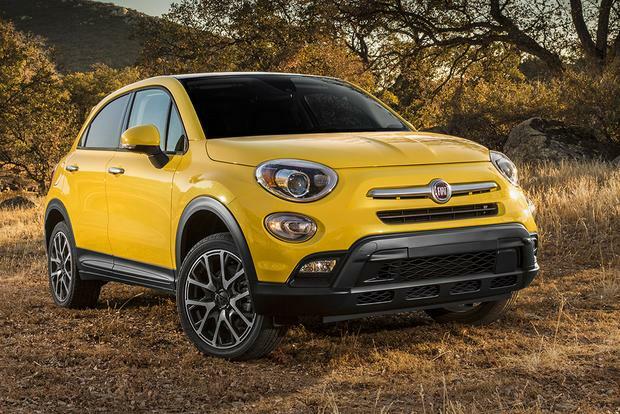 If you're looking for a small SUV that's more about style and character, the 2018 FIAT 500X has to be on your test-drive list. Basically unchanged for 2019, the FIAT 500L remains a roomy small car for the budget minded. 2016 FIAT 500X vs. 2016 Mazda CX-3: Which Is Better? We're comparing two new small crossovers -- the FIAT 500X and the Mazda CX-3 -- to find out which is better. 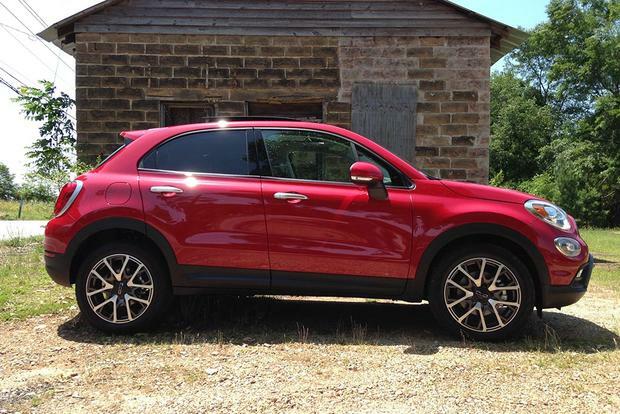 The time has come to return our FIAT 500X long-term test car -- so we're summing up our thoughts. In 1957, FIAT developed a car to put Italy on wheels. A response to the Volkswagen Beetle, the 500 was a tiny box of a car that looked like a mechanical mouse, right down to its chrome whiskers on the grille. FIAT revived the 500 in 2007 and brought it to the United States through its relationship with Chrysler in 2012. 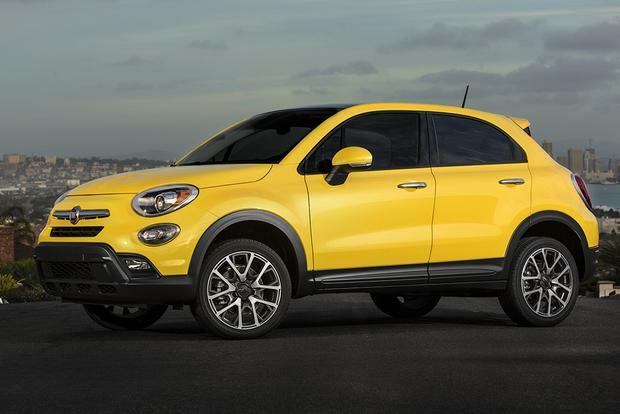 To expand its footprint, the Italian brand has developed various versions of the 500 since, including the sporty Abarth model, the larger 500L and now a subcompact crossover, the 2016 FIAT 500X. Who'd have thought that little mouse of a car would lead to this? The 500X isn't just a raised 500L offered with all-wheel drive (AWD). And that's a good thing, because the 500L's cheapo interior and dull driving dynamics are unimpressive. 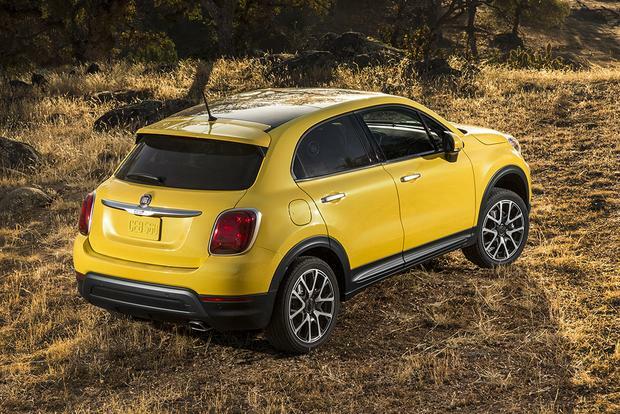 Instead, the 500X rides a new small-wide platform that it shares with the Jeep Renegade. Extensive use of high-strength steel gives the platform plenty of rigidity and keeps the weight below 3000 pounds even with AWD. That AWD system is meant for all-weather security, not off-roading. It can disconnect the rear axle when rear traction isn't needed to save gas, and it can send up to 50 percent of the torque to the rear axle when the front tires lose grip. On the road, the 500X drives much like a car, especially the front-drive models, which sit about an inch lower. The steering is fairly quick and direct, though without a lot of road feel. Handling is well controlled and the vehicle leans little in turns. While it's more fun than the awkward 500L, it doesn't capture the water bug agility of the 500 model. The ride is a mixed bag, too. It's fairly supple with the base 16-inch wheels but becomes firm with the available 18s. If you live in the rust belt, try the 18s before you buy. The best powertrain is only available in the base model. The Pop model features a turbocharged 1.4-liter 4-cylinder that makes 160 horsepower and 184 lb-ft of torque, and it's mated to an easy-shifting 6-speed manual transmission. The engine is fairly smooth for a four, and the manual transmission lets drivers hold gears as long as necessary to get the most power from the limited size. Be aware, however, that with so little displacement, engine revs have to remain high to tap into the power. Shift to too high a gear, and power drops off noticeably. All other buyers get a 2.4-liter 4-cylinder paired with a 9-speed automatic transmission. The 2.4 produces 180 hp and 175 lb-ft of torque. While those figures are similar to the 1.4, the larger size gives the engine more natural torque at low speeds. Unfortunately, that positive is offset by the 2.4's coarse character and a transmission that's prone to searching for gears and sometimes delivering clunky shifts. It's too bad that FIAT doesn't offer the 1.4 in other models. 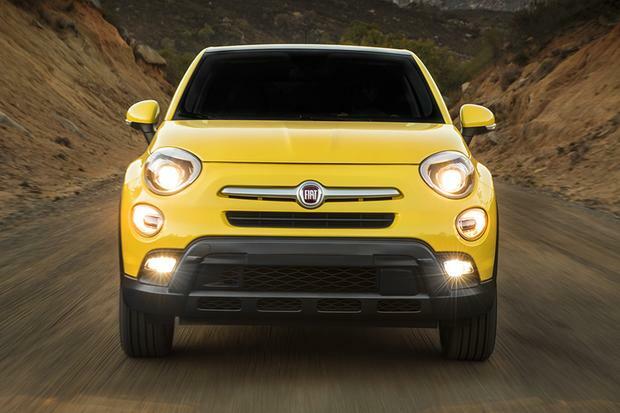 The good news, though, is that FIAT promises 30 miles per gallon overall from both powertrains. Since its return to the United States, FIAT's interiors have been dominated by Playskool-grade hard plastics, but that's not the case here. 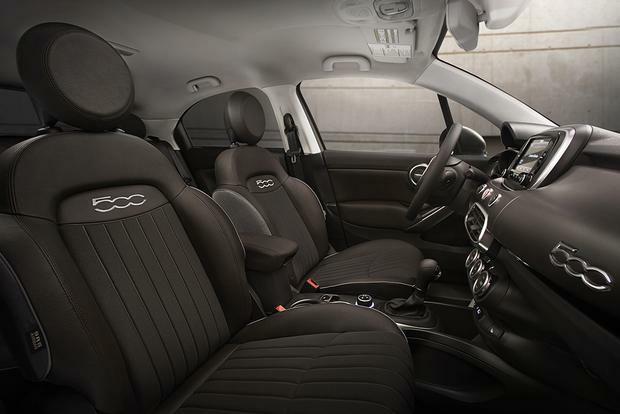 The 2016 FIAT 500X has a soft-touch dash and padded surfaces on the door armrests and center console cover. However, there are still some signs of cost-cutting. The face of the dash and the glove box are hard plastic, and we worry that it could start to creak and groan over time. The door tops are also hard plastic, where some padding would otherwise provide a comfortable surface for occupants' elbows. 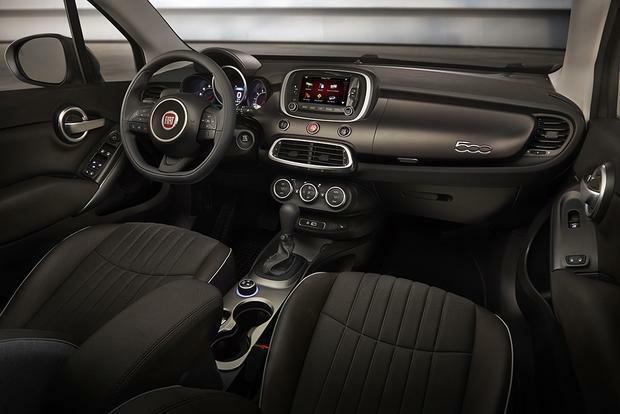 While the base radio comes only with a USB port, an auxiliary port and optional satellite radio, FIAT offers a step-up radio with the latest in connectivity. The Uconnect 6.5 system comes with a 6.5-in touchscreen, access to Internet radio and Yelp local search apps on owners' smartphones, as well as an optional navigation system. It's an easy system to use and a welcome option in such an affordable vehicle. The front seat has plenty of room, but the seats are too flat for best long-trip comfort. The back seat fits three passengers instead of two and offers decent legroom. Behind the rear seats, the 500X offers 18.5 cu ft. of cargo space, and those seats can fold down in a 60/40 split to expand that to 50.8 cu ft. That lies between the Honda HR-V's 58.8 cu ft. and the 48.4 cubes offered by the Chevy Trax. 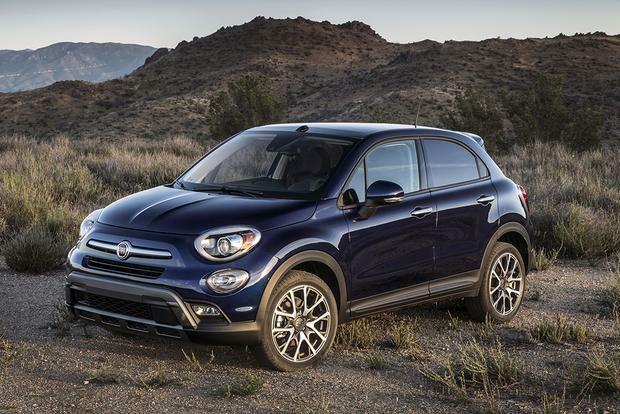 While its little brother, the 500, draws interest for its cutesy styling and small fun-to-drive package, the 500X competes on value and utility. Although the 500X does deliver on those promises, we wish this larger mouse was as fun as its featherweight sibling.